Like many in the manufacturing industry, you may be feeling the pain of the skills gap. This is the gap between the skill it takes to perform the job, and who is trained in that skill. In other words, lots of industries are feeling the pressure to fill roles, but are having trouble filling those roles with qualified applicants. This gap is causing a lot of hiring managers to think creatively about how they recruit skilled roles like welders, mechanics, and model makers. The bad news is, the gap may be a reality for the foreseeable future while the American workforce catches up on training and encouraging new talent. On the bright side, companies are getting imaginative with how they are acquiring new talent for their businesses. 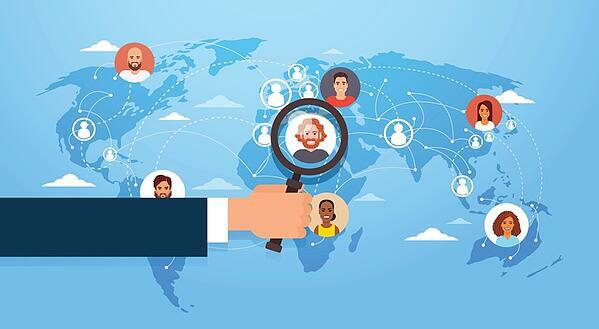 One way companies are combating this issue is by widening their search to include international candidates. There are some advantages to taking this approach, but as with any new process, there are things to consider. DO: Take these candidates seriously. You should assess these candidates the same as any other applicant. To put it simply, do not reject a candidate based on address. Candidates have different motivations for relocation (yes, even across the globe), but they could have the skills you have been looking for! Especially those recruiting for manufacturing plants that can be located in remote or less populated areas may find themselves out of local candidates to recruit. Taking your recruiting efforts international could help entice those who are already looking to relocate choose to move to your area. DO: Make accommodations that make sense and even the playing field for international candidates. If a candidate is far from your location, consider a phone interview, or video Skype interview instead of an in-person interview. This will give the hiring manager a chance to rate a candidate, even if they are in another country. Note, it is still important to remember to evaluate each applicant for the same characteristics you are evaluating your local candidates for, including motivational fit for the job (here are some interview questions you can ask to evaluate motivational fit). DO: Review candidate credentials with an international lens. If you require a certain certificate for a skilled position, you should research the international equivalencies. You can also probe into what sort of experience and knowledge areas they have with a technical test or technical interview. The important thing is for skilled candidates to show up on their first day of work with the skills, knowledge, and ability to do the job. DON'T: Be flexible with the job requirements. If there is a competency or skill that is needed for the position, don’t compromise your needs to fill the position. You don’t want to risk wasting your time and resources on a candidate who is not qualified for the job. In addition, you risk creating a poor candidate experience during the hiring process, which will not only reflect poorly on the company, but could cross over into a poor reflection of the product you are manufacturing. DON'T: Assume that your process needs to change significantly in order to hire internationally. You may not need to translate a pre-hire assessment into another language to accommodate international applicants. For example, if you have a candidate from Mexico who requests an assessment, or interview in Spanish, you should consider some things first. Is English required for the job? Will they be required to read instructions in English? Will they be required to know safety information in English? If the answer is “yes,” then you shouldn’t offer another language other than English, since this is a requirement of the job. The bottom line is, the skills gap is affecting organizations everywhere. If you find yourself in a similar situation, perhaps expanding your search internationally could be helpful.